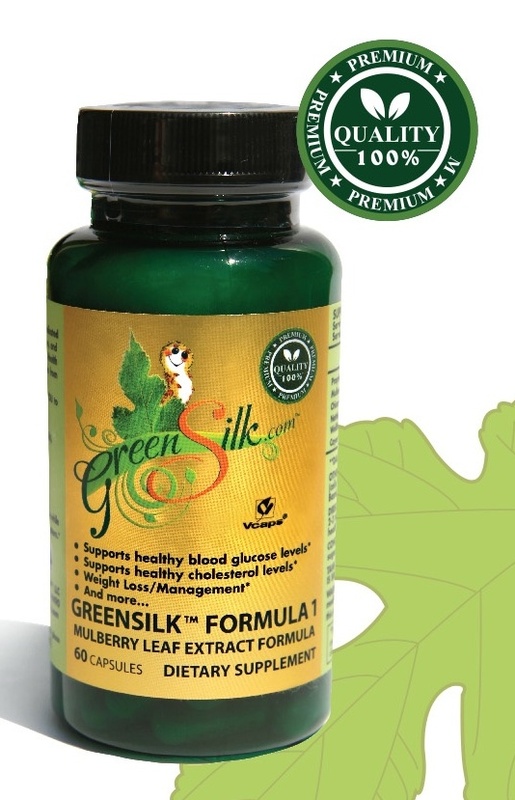 GreenSilk Formula 1 is a proprietary blend that offers support for restoring your body to its natural healthy state. 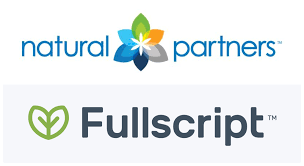 Utilizing high-grade extracts that are synergistically combined and encapsulated to provide maximum nutrient absorption by the body. 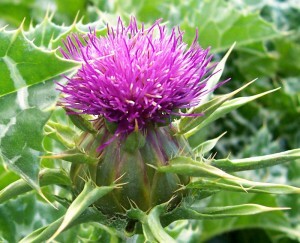 The seeds of the milk thistle have been used for 2000 years to treat chronic liver disease and protect the liver against toxins. The United States National Library of Medicine has catalogued more than 300 scientific studies of milk thistle and its active compounds in their medicine database. Over the past twenty+ years, intensive chemical, pharmacological, and clinical research has confirmed mechanisms of action and therapeutic value of silybum in a wide range of human liver disease, including toxic metabolic liver damage (such as fatty degeneration of the liver) and supportive treatment of chronic hepatitis and cirrhosis. Silybum derived from the seeds of the plant (and most specifically, its main constituent, silybum has shown both protective and restorative effects in liver disease. Ingesting can cause some laxative effects. The plant is a primary example of the usefulness of using historical efficacy as a starting point for the development of modern applications for medicinal plants. 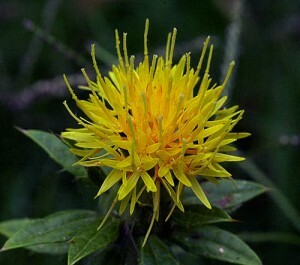 Safflower blossoms are used in the tea form to treat hysteria, fevers, phlegm, and panic attacks. It is a pretty strong cathartic, and also clears the lungs. It is likewise beneficial against jaundice. In domestic practice, the flowers are sometimes used in children’s and infants’ complaints, such as measles, fevers, and eruptive skin problems. Safflower is also known to help to move stagnant blood and alleviate pain. As a blood purifier, Safflowers are helpful with removing toxins and waste, like lactic acid, from the system, cleaning the tissues and joints throughout the entire body. Other benefits of Safflowers have been to relieve arthritis, treat skin rashes, and promote healthy liver functions. Safflower flower has been used in traditional Chinese medicine for thousands of years. Safflower is used to treat menstrual pain, to firm up the uterus after childbirth, to ease stiffness and pain in the joints, and sometimes also to treat trauma to the abdomen. According to traditional Chinese usage, safflower flower is a blood regulator; that is, it invigorates and harmonizes the blood and dissolves blood clots. Recent researches and studies conducted at Ohio State University (The Journal of Clinical Nutrition) revealed that safflower oil is especially beneficial for postmenopausal diabetic women in reducing weight and lowering blood sugar levels. Safflower is said to have a warm nature and a pungent taste. Safflower should always be taken with caution if taking high dosages. The American Herbal Products Association has given safflower both a class 2B rating (meaning it should not be used during pregnancy) and a 2D rating (indicating that it should not be used by patients with hemorrhagic disease or peptic ulcers). The content of wolfberry contains significant amounts of our body’s daily macronutrients needs including 68% carbohydrates, 12% proteins, and 10% of fiber and fat. Wolfberry’s diverse and high concentration of micronutrients has earned it accolades as an exceptional health food. At least 11 essential minerals, 22 trace minerals, 7 vitamins and 18 amino acids define its extraordinary micro-nutrient richness. 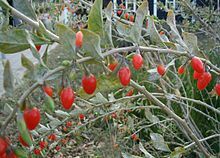 Of particular interest with people with diabetes are the visions preserving nutrients found in wolfberries, which contain one of the highest levels of beta carotene by weight among all edible plants. These berries also contain a vitamin A component or carotenoid called zeaxanthin, which researchers believe has a role in preserving vision. Researchers in China report that the carotenoids in wolfberries tend to concentrate in the retina of the eye, adding to the benefit of these nutrients in promoting eye health. This may be significant for patients with diabetic retinopathy. Chicory Root has a long and well-documented history of assisting with liver problems. In fact, documentation exists that ancient Romans used this herb to help cleanse the blood. Similarly, ancient Egyptians were known to consume Chicory Root in large amounts to aid in purifying the liver and the blood. Especially during periods of scarcity for traditional coffee beans, roasted Chicory Root has served as a natural caffeine-free alternative. Chicory Root contains Vitamin C, a powerful antioxidant ; known for its ability to help prevent jaundice and an enlarged liver when mixed with water; a natural sedative and anti-inflammatory for the nervous system; assists the body to resist gallstones and liver stones ; provides the soluble fiber inulin, which feeds digestive flora in the intestines; The inulin content is not digestible, so its lack of glucose can help promote optimal blood sugar levels while also increasing stool bulk and consistency; aids in decreasing the levels of serum LDL cholesterol in the blood. Chicory Root provides inulin to feed the beneficial bacteria of the body and improve overall digestive function. 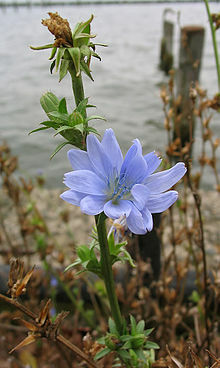 Of more than 30,000 different plant species containing inulin, Chicory Root contains one of the highest concentrations. Because of Chicory Root’s potential for removing contaminants from the digestive system, the liver does not have to work as hard to filter out toxins that may have escaped into the bloodstream. In addition, it acts as a gentle laxative and diuretic for removing excess water and toxins. Nettle has been used for centuries to treat allergy symptoms, particularly hay-fever which is the most common allergy problem. It contains biologically active compounds that reduce inflammation. Dr. Andrew Wiel M.D. 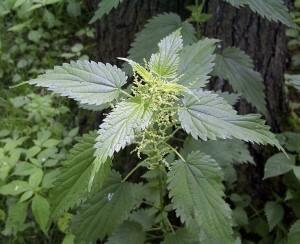 author of Natural Health/ Natural Medicine says he knows of nothing more effective than Nettle for allergy relief. 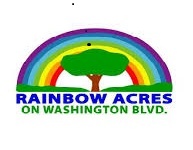 And his statement is backed up by studies at the National College of Naturopathic Medicine in Portland, Oregon. 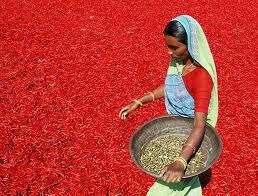 Capsaicine, the active ingredient in chili peppers, it is so hot that it can make your mouth feel like it’s on fire. This phytochemical exists in peppers and when capsaicine is consumed in a somewhat diluted form, such as in hot sauce, chili peppers or cayenne peppers, it offers a myriad of health benefits. Chili peppers come in hundreds of different varieties, each with a unique flavor, color, shape and heat factor. Generally speaking, the hotter the pepper, the more capsaicine it contains. About 80 percent of the capsaicine in a chili pepper is in its ribs and seeds, which is why much of the heat is removed when these items are taken out. A study published in Cancer Research found that capsaicine caused cancer cells to commit suicide. The substance caused almost 80 percent of prostate cancer cells to die in mice, and prostate tumors treated with capsaicine were about one-fifth the size of those in untreated mice. “Capsaicine inhibits the growth of human prostate cancer cells in petri dishes and mice,” says lead researcher Dr. H. Phillip Koeffler, director of hematology and oncology at Cedars-Sinai Medical Center and a professor of medicine at the University of California, Los Angeles. Further, researchers say capsaicine pills may one day be used to prevent the return of prostate cancer. A topical form of capsaicine is a recognized treatment for osteoarthritis pain, and may also help alleviate pain from diabetic neuropathy. Capsaicine is also known to inhibit Substance P, a neuropeptide that is the key transmitter of pain to the brain. Substance P can cause swelling of nerve fibers, which may result in headaches and sinus symptoms. Studies have found that capsaicine both relieves and prevents cluster headaches, migraine headaches and sinus headaches. Capsaicine has potent antibacterial properties that fight and prevent chronic sinus infections, or sinusitis. Because it is so hot, it also helps to stimulate secretions that help clear mucus from your nose, thereby relieving nasal congestion. 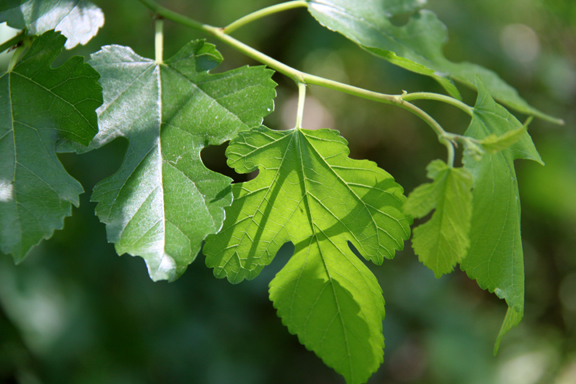 This phytochemical may also help relieve sinus-related allergy symptoms. Capsaicine is a potent anti-inflammatory agent. It works by inhibiting Substance P, which is associated with inflammatory processes. Capsaicine is being looked at as a potential treatment for arthritis, psoriasis and diabetic neuropathy. A Duke University study found that capsaicine may lead to a cure for inflammatory bowel disease (IBD). The substance can also help to kill bacteria such as H. pylori, which can help prevent stomach ulcers. Capsaicine is a thermogenic agent, which means it increases metabolic activity. This, in turn, helps to burn calories and fat. Many popular “fat-burning” supplements on the market contain capsaicin, as the substance may significantly increase metabolic activity for over 20 minutes after it’s eaten. Capsaicine may help to protect the heart by reducing cholesterol, triglycerides and platelet aggregation. It may also help the body dissolve fibrin, which is necessary for blood clots to form. Further, cultures around the world that use hot peppers liberally in their meals have significantly lower rates of heart attack and stroke than cultures that do not. Bamboo Extract: Bamboo Extract is a known source of Natural Silica. Early Chinese books were written on bamboo slats and bamboo has been used as a source of medicine since ancient times. The average adult body contains about twenty grams of silica, and it is necessary for the body’s silica stores to be maintained at this level to promote good health. Natural Silicon is thought to improve the cardiovascular system as it is essential to the structural integrity, elasticity and permeability of the arteries. Natural Silica may be useful in reducing blood fats and cholesterol. Natural Silica, among other benefits, also plays an essential role in mineral absorption and enhances the function of iron, calcium, magnesium, potassium and boron and is essential for normal bone development and stimulating the immune system. L-Leucine: L-Leucine is an essential branched-chain amino acid that’s broken down in fat structures. L-Leucine can not be made by the body, and must be acquired through food or dietary supplements. The effects of L-Leucine in the diet are profound. Some of the health benefits include: preservation of lean muscle tissue, supplies the body with energy when under stress, enhances liver protein synthesis and improves breathing ability and quality of sleep with those with kidney disorders, and L-Leucine is known to lower blood sugar levels and normalize and control insulin release and insulin function.